Use of Antidepressants: Who do you trust? Antidepressant Regimens: Who can you trust? Frustrating and hurtful, isn’t it? Who can you trust anymore? And guess what? The same applies to those who make and promote those psychotropic meds you rely upon. This piece was to be a review of opposing studies on an antidepressant regimen. But my digging uncovered some unsavory conflict of interest issues that – well – rubbed me the wrong way. 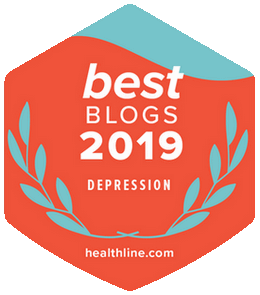 A 2009 study suggests combination antidepressant therapy may be more effective than using just one in the treatment of major depressive disorder (MDD). The study was published in the December 2009 issue of the American Journal of Psychiatry. Specifically, the research cited the use of mirtazapine (Remeron) in combination with fluoxetine (Prozac), venlafaxine (Effexor), or bupropion (Wellbutrin). A brand new study suggests combination antidepressant therapy offers no advantage over using just one in the treatment of MDD. And the research goes on to underscore the potential for more misery from ramped-up side effects. The work was part of the Combining Medications to Enhance Depression Outcomes (CO-MED) study. It was published in the July 2011 issue of the American Journal of Psychiatry. The study used combinations of escitalopram (Lexapro) and sustained-release bupropion (Wellbutrin SR), as well as extended-release venlafaxine (Effexor XR) and mirtazapine (Remeron). Well, it seems Dr. Blier of the 2009 study didn’t much care for the the 2011 work. He pointed-out some major problems with the CO-MED study and suggested we all practice caution as we interpret the results. Frankly, I wouldn’t trust Blier or Rush. Why? They’re on Big Pharma’s payroll! Blier: Astra-Zeneca (Seroquel), Biovail/Valeant (Wellbutrin XL), Bristol-Myers Squibb (Abilify, Buspar), Eli Lilly (Cymbalta, Zyprexa, Strattera, Symbyax), Lundbeck (Cipralex, Serdolect), Mitsubishi Pharma, Janssen (Haldol, Risperdal), Novartis (Trileptal, Focalin), Pfizer (Xanax, Zoloft, Effexor, Geodon, Nardil, Navane, Neurontin, Pristiq, Halcion), Sanofi-Aventis, Sepracor, Servier, Schering-Plough/Merck, Takeda, and Wyeth/Pfizer. Rush, ICRMN: Otsuka and Forest Labs (Lexapro, Viibryd). He owns stock in Pfizer. And how did earn that credential? Well, sometimes, like in this piece, he’s referred to as August John Rush. In his Singapore Clinical Research Institute profile he prefers A. John Rush. And in the CO-MED study he goes by John A. Rush. Now, I did a lot of digging to come up with that information. And if all three aren’t the same man, I’ll publish a retraction (but I’m thinking I’m spot-on). And you know what’s even more disturbing about all of this? Physicians such as Dr. ICRMN are involved in studies funded by the National Institutes of Health (NIH)! And they’re playing a major role in putting together the new Diagnostic and Statistical Manual of Mental Disorders: Fifth Edition (DSM-V). Do you think that provides amazing access and privilege to Big Pharma? I ran a piece in March of last year entitled “Psychiatrists on the Take? No Way!(? ).” The revelations in the article are disturbing. And with all the talk of cleaning things up, along comes Dr. ICRMN’s involvement in a July 2011 study. Isn’t it a shame that conflict of interest issues have to cast shadows of doubt upon what may well be meaningful and helpful work? Well, did I do my job by dialing you in on two topics of importance? I guess the bigger question is – are Big Pharma and the physicians we pay very well – and are supposed to trust – doing theirs? 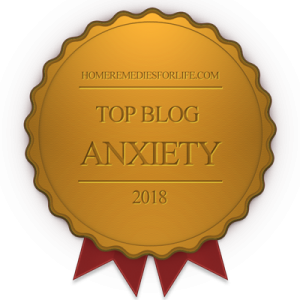 Would you like to catch a list of all chipur articles on meds and supplements for depression, anxiety, and bipolar disorder? Click here, and you’re there. Thanks to medscape.com for the resource.